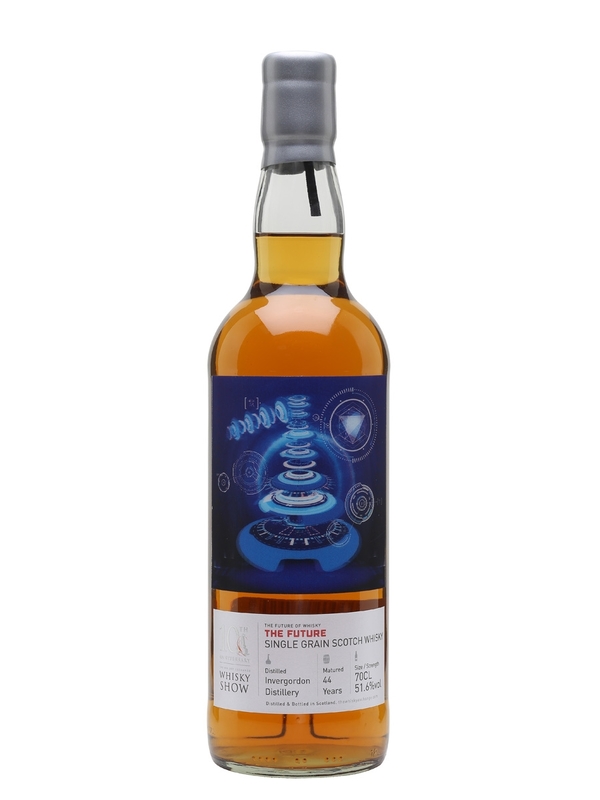 We come to the second whisky released in the cool ‘future’ of whisky , this time it’s just ‘The Future’. So, the future is older grain? Not a bad future at all methinks. I am a big fan of older grains, especially ones that have spent more than 30 years in the cask, and the more the merrier, i say. Give me big woody notes, polished oak, and spices, along with the sweet notes of the grain, and I am a happy camper. This time around it’s even a bigger treat since this whisky is older than I. As I get older (yes, I am a dirty old man already i know), It gets harder an harder to find, let alone afford whiskies distilled before 1975.. So, double the fun here. Grains are not everybody’s favorite, and frankly it’s not that easy finding an excellent older grain,Age is not everything, and some 30 year olds are plain boring having spent their lives in tired casks, but those who were lucky enough to find their way into a good active cask and lay there patiently for 30, 40 or some years, are wonderful, like the whisky we’re about to taste today. This lovely cask , was filled in 1974, and yielded a total of 249 bottles at 51.6% abv, and is not cheap at £250, but try to find a single malt at 44 years of age for this price… no way. Nose: I am a sucker for old wood in a whisky, and this one’s up my alley 100 %. lots of wood varnish on the nose from the get-go, with deep sultanas in liquor, caramel (the good kind), some coconut powder and quite a bit of wood spiced, toffee’d popcorn, and some more sweets, and that wood, the varnished wooden benches. just lovely. I am a sucker for old grains (over 30’s pref. 40s) and this one delivers. Maybe not the most complex of noses, but it’s hitting my soft spot. Palate: Nice entry, with a soft elegant rich and sweet caramel candy richness. creme brule, caramel candy, toffee, tablet, sweet and oh so lovely. the wood is also present mind you, with a dry touch, balancing the sweet pastries and caramelized stewed orchard fruit (apple, pear , peach) all engulfed by the rich, sweet, nectar, enriched with sultanas sweetness, maybe some figs too. Sweet, round, oily, so damn drinkable. Finish: stewed apples, bitter wood, varnish and burnt sugar. Excellent stuff again, a truly delightful older single grain, sweet, and harmonious , very more-ish if you ask me, I could see myself drinking a few drams in one setting, it’s quite addictive, and the 50%+ is barely noticeable. It’s also the most expansive of the three, but it’s twice as old as the Ben Nevis, and many times older than the brilliant Ledaig. If you’re an older single grain person, this one’s worth considering, you’re going to enjoy it immensely.